Classic Point Ltd. Was Established In 1987, Is A Privately Company Run By Family Ownership And Specialises In The Finishing Of Leathergoods. The Medium-Sized Indian Company (From The South Parganas District Of Karaidanga Near Bantala On The Lower Kolkata, West Bengal) With Around 110 Employees Serves International Clients, Focusing On Leather Handbags (60%) And Leather Wallets (40%). 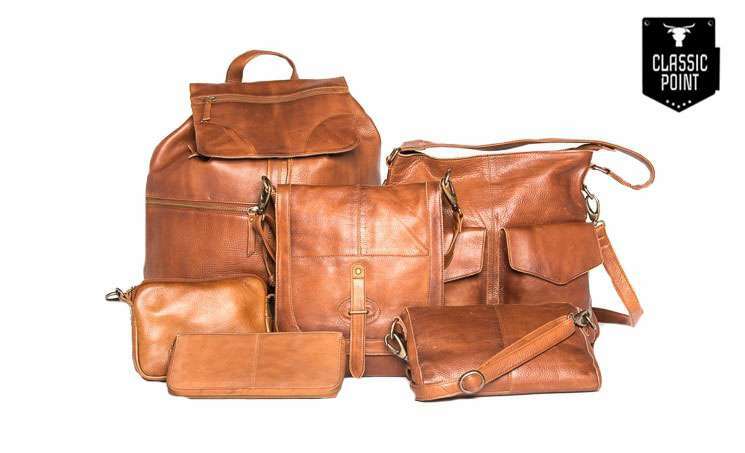 We Offer Purse, Laptop Bag, Duffels Bag, Doctorâ€™S Bag, Travel Bag, Business Cases And Accessories.The Classic Point Leather Factory Specialises And Has Found A Niche In Quality Products And Premium Goods Made From Cow, Buffalo And Goat Leather. Customers Include Leading Fashion Houses From France, Italy And The USA.The Company Has Been Certified By The Â€ŒTÃœV Rhineland ISO 9001-2008â€, An International Affiliation For Leather Goods Manufacturers. The Leather Working Group Sets The Highest Standards For Its Members.Production Capacity: Approx. 2,000 Handbags And 25,000 Wallets Or Other Small Leather Goods (Per Month). my pleasure, in order to judge whether a bag is supreme or trivial, a combination of three factors have to be considered. which leather it is made from. the way it is treated. the rank of its grain treated. the type of animal from which it is made is the cardinal factor to consider.